Logan Wildcats Reunion, Chapmanville, WV, 1900. The old Confederate soldiers will hold their semi-annual reunion at Chapmansville next Saturday. A good time will be had by all who attend. Source: Logan (WV) Banner, 1 June 1911. EDITOR DEMOCRAT: The Confederate veterans of Camp Straton met at Chapmansville on last Saturday in celebration of the fiftieth anniversary of their enlistment in the cause of the Southern Confederacy. They were met and greeted by Daniel Smoot and several others from our sister county of Boone, and Robert Lewis of Lincoln county. J.W. Harvey was also present. M.L. Campbell of the Soldier’s Home, at Richmond, Va., enjoyed the pleasure and opportunity on this memorable occasion to once more greet his old comrades of the Lost Cause. They met, shook hands and greeted each other, and at times the writer could detect the tears in the eyes of these old veterans, which showed the true spirit of these old comrades as they talked of the days when they followed Lee and Jackson, Johnson and Longstreet and others of their immortal leaders in the battles of Gettysburg, Bull Run, Piedmont, Manassas Junction and many other of those famous battles which today stand in history as sentinels of one of the bloodiest and hardest fought wars in the history not only of this nation but of the world. After forming line and roll call, to which there were comparatively so few to answer, they once more marched the streets of Chapmansville, where just fifty years before to a day they marched when full of life and vigor. But now their bent forms and halting steps mark most sadly the passing of time. In Federal burying grounds alone, 359,284 soldiers lie, while countless thousands have been buried in plots at home. On the Confederate side doubtless as many more may be counted. What a pitiful sacrifice of blood, the young and strong and brave blood of the nation. Doubtless war stirs certain feelings and virtues into action that otherwise would lie dormant. Perhaps it settles certain questions not otherwise easily adjusted. But it is hard to think that an intelligent Christian nation should ever need to resort to it. When the noon hour came the veterans marched to the home of Mr. John Ferrell, where refreshments and a fine dinner was served. They then marched to the center of the village, formed a hollow square and held a brief business session. A committee of three was appointed to draft suitable resolutions to the memory of their deceased comrades. Hon. J.B. Wilkinson, C.E. Whitman and W.F. Butcher were appointed on this committee. A committee of two was appointed to gather the names of the sons of all the veterans in Camp Straton, said list to be submitted at the next reunion, at which time they expect to organize the Sons of Veterans. C.E. Whitman of Logan and R.L. 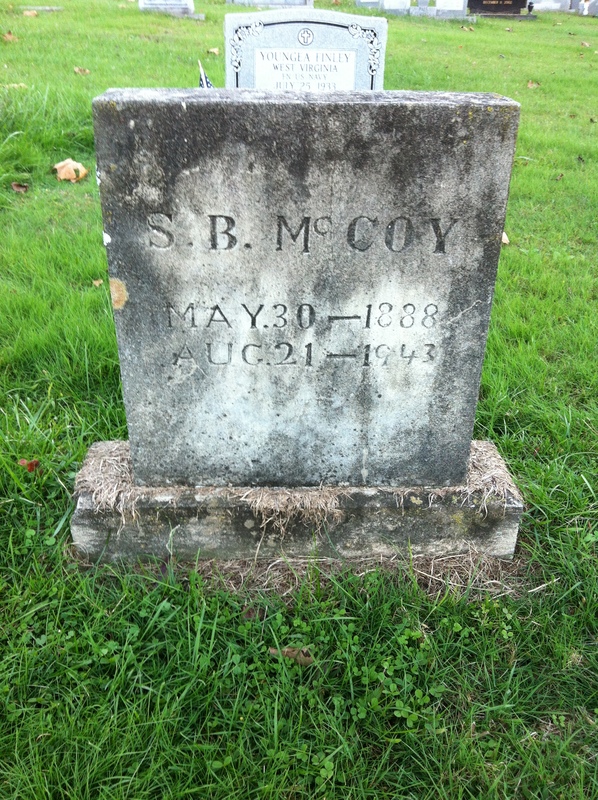 Stone of Big Creek were appointed on this committee. 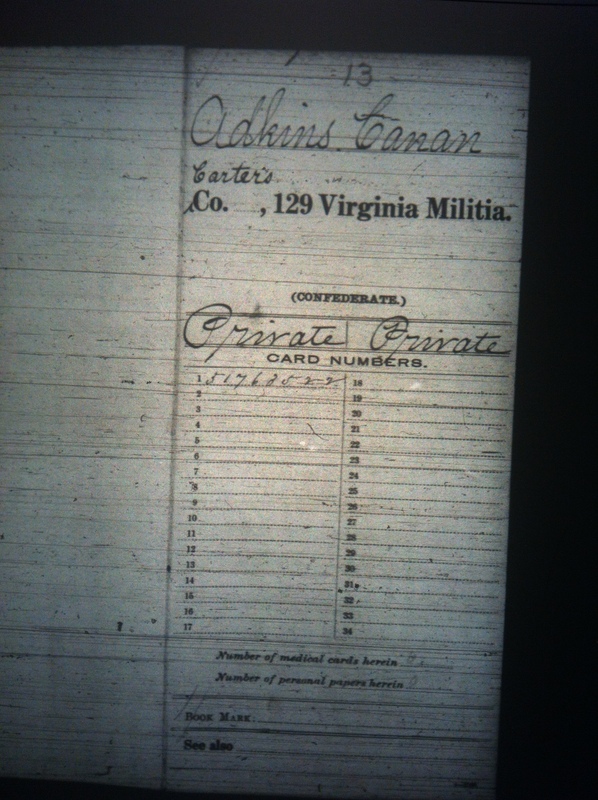 A clerk was also appointed to keep the record of the Camp. It was also suggested that the commandant get in communication with the Daughters of the Confederacy, and secure a cross of honor for each veteran of the Camp, which cross of honor is to be handed down to the oldest son as a souvenir. After the business session, prayer was offered by Chaplain W.D. Garrett. The people were entertained for some time by short and breezy speeches by the veterans and their sons, which were very much applauded and enjoyed by all. 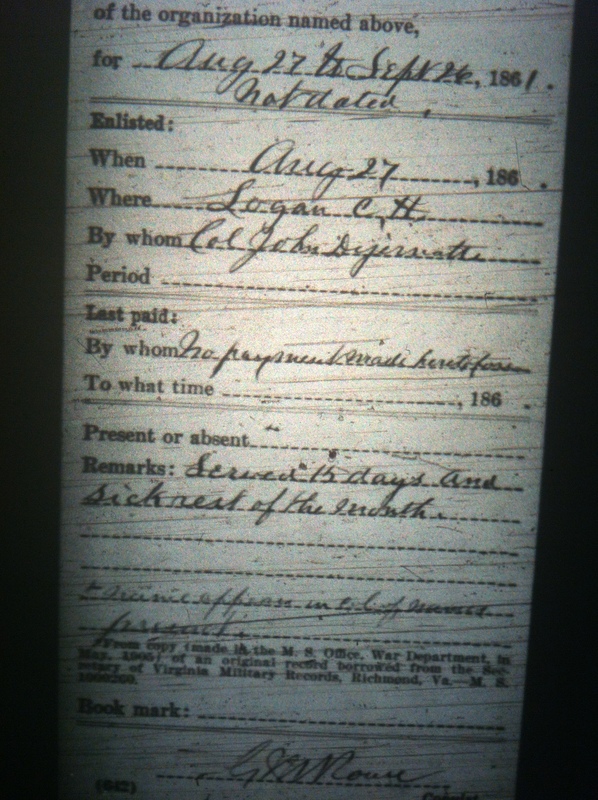 We then enjoyed the song of the starting of the Logan volunteers, June 3, 1861, by the wife of a veteran. The meeting then adjourned to meet at Logan on Saturday, October 7, 1911. Confederate flag over the Logan Courthouse, Logan (WV) Banner, 19 September 1913. Photo from 23 October 1911. Camp Straton of the Confederate veterans met in this city October 23, 1911, and had dinner at the Buskirk and Peck Hotels as the guests of Judge Wilkinson and Mrs. Vicie Nighbert. The meeting was called to order at 1:30 p.m. by M.D. Stone, Commandant, and George Scaggs was elected to the office of Third Lieutenant. Motion carried unanimously to meet hereafter on the fourth Tuesday in September, and Logan was chosen as the place for the next meeting. Judge Wilkinson delivered an able address at the close of the business meeting and suggested organizing a camp of Sons of Veterans, a meeting for which purpose has been called for Saturday, Nov. 4th, at 1:30 p.m., at the court house. United States Senator William E. Chilton then delivered a very interesting address which was received with great enthusiasm. After a vote of thanks by the Company to Judge Wilkinson and Mrs. Nighbert for their hospitality the meeting was adjourned. Jas. I. Dingess, Second Lieut. All veterans not registered will please send name and address to T.B. Stone, Kitchen, W.Va. Source: Logan (WV) Democrat, 26 October 1911. M.D. Stone, Commandant, Kitchen, W.Va.
Astyanax McDonald, First Lieutenant, Logan, W.Va.
James I. Dingess, Second Lieutenant, Pecks Mill, W.Va.
Geo. Scaggs, Third Lieutenant, Curry, W.Va.
F.S. Barker, Treasurer, Curry, W.Va.
David Hale, color bearer, City. Hiram Pridemore, color bearer, City. Allen Hale, East Lynn, W.Va.
Thos. B. Farley, Bias, W.Va.
John A. Thompson, Chapmanville, W.Va.
Geo. Crump, member Camp Garnett, Huntington, W.Va. The next reunion of the members of said Camp will be held at Logan C.H. on Tuesday, September 17th, 1912, at 11 o’clock a.m. The presence of each member is requested. Source: Logan (WV) Democrat, 29 August 1912. You are requested to meet at Logan C.H. at 10 o’clock Saturday, September 14th, 1912 to prepare for the reunion of Confederate veterans of Camp Straton to be held the following Tuesday. It is desirable to increase our membership on that day as much as possible. Anyone desiring to become a member of our camp come or send in your name. We want to give the old soldiers a hearty welcome and cordial greeting. The next reunion of the members of said Camp will be held at Logan C.H., on Tuesday, September 17th, 1912, at 11 o’clock a.m. The presence of each member is requested. Source: Logan (WV) Democrat, 5 September 1912. Camp Stratton, No. 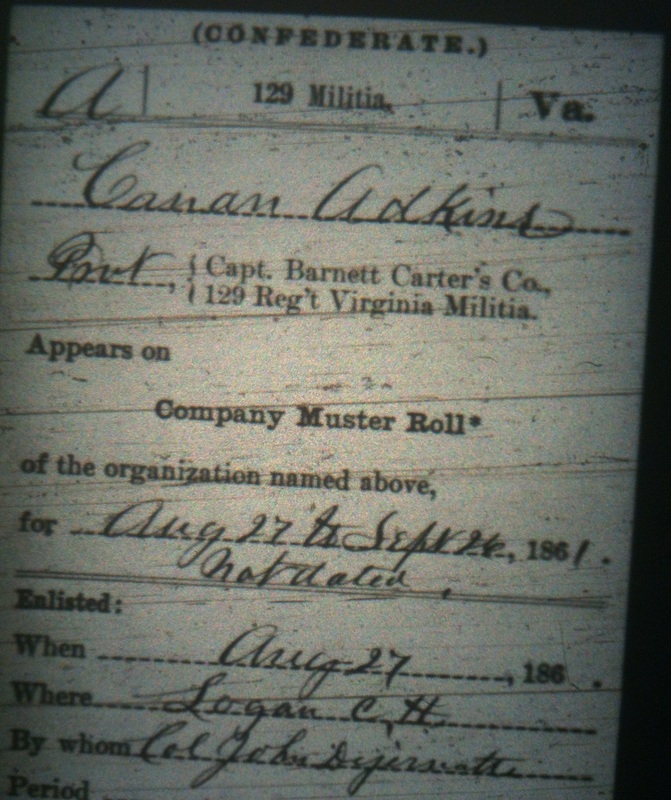 1633, United Confederate Veterans, met in the City of Logan, Tuesday, September 19th, according to arrangements made at their last meeting, October 23, 1911, making the third Tuesday in September of each ensuing year the regular meeting day at Logan. The veterans coming east were met at the depot on the arrival of train No. 150 by the veterans already assembled, accompanied by the Logan and Holden bands. Hon. J.B. Wilkinson announced that arrangements had been made for the veterans to march to the skating rink, where the business session would be held, after which dinner would be served to all veterans at the hotels Jefferson and Buskirk, complimentary tickets having been given to confederates and their wives and daughters present. The meeting adjourned to meet at 12:30 p.m. at the court house where the Sons of Veterans and the teachers and pupils of the Logan Public Schools fell in line and marched through the business section of the city. The entire procession again marched to the skating rink and was ably entertained for a short time by Hon. J.B. Wilkinson, who in turn introduced Brig. Gen. Wayne B. Ferguson of the 2nd Division of West Virginia, U.C.V., who after delivering an interesting address introduced the Hon. Thos. H. Harvey of Huntington. Amid great applause, Judge Harvey recalled the story days of the Sixties and as a closing remark to his comrades, who must soon follow the great leader, quoted Jackson, “Let us pass over the river and rest under the shade of the trees.” Col. J.R. Miller, a “rebel” from the “Southland” was next introduced by Judge Wilkinson, who remarked that “the best of the reunion was now coming.” Col. Miller delivered an able and interesting address lasting 45 minutes, which was enjoyed by all present. On motion Comrades Hugh Avis, Andy Perry, Simpson Ellis, Henry Mitchell and Thos. H. Harvey were selected as delegates to represent Camp Straton at the annual reunion in Moorefield, Hardy county, W.Va., October 9, 1912. On motion Col. J.R. Miller, Hon. Thomas H. Harvey and Gen. Wayne B. Ferguson were made honorary members of this camp. Mrs. J.E. Robertson and Mrs. Lou G. Buffington were unanimously extended a vote of thanks for their untiring efforts in securing … mandant, a vote of thanks was given to all visiting members, also all Sons of Veterans and Daughters United Confederacy. After a vote of thanks by the Company to Judge Wilkinson and Mrs. Nighbert for their kind hospitality the meeting adjourned to meet at Logan, September 16th, 1913. Making a total of 91, 81 of which were present today against 83 last year. If any member desires to have his name enrolled in the records of Camp Straton, send name and address to T.B. Stone, Secretary, Camp Straton, Kitchen, W.Va. Source: Logan (WV) Democrat, 19 September 1912. The Sons of Veterans will meet in Logan on the first day of the October term of Court. All members are requested to be present. Source: Logan (WV) Democrat, 3 October 1912. You are hereby requested to attend our annual reunion at Logan C.H. on Tuesday, September 16th at 2 o’clock p.m. for the transaction of important business. Program of exercises will be given out in due time. Source: Logan (WV) Banner, 5 September 1913. Logan (WV) Banner, 19 September 1913. Photos from 23 October 1911. To the Officers and Members of Camp Stratton, No. 1633, U.C.V. You are hereby notified that a meeting will be held at the Courthouse at Logan, at 2 o’clock, P.M., on April 30th, 1914, for the purpose of selecting delegates to attend the reunion at Jacksonville, Fla., May 6, 7, and 8th, 1914, and to attend to such other business as may come before the Camp. Our Camp is entitled to three delegates and three alternates. Source: Logan (WV) Banner, 10 April 1914; 24 April 1914. Logan (WV) Banner, 24 April 1914. Photo from 23 October 1911. Rev. 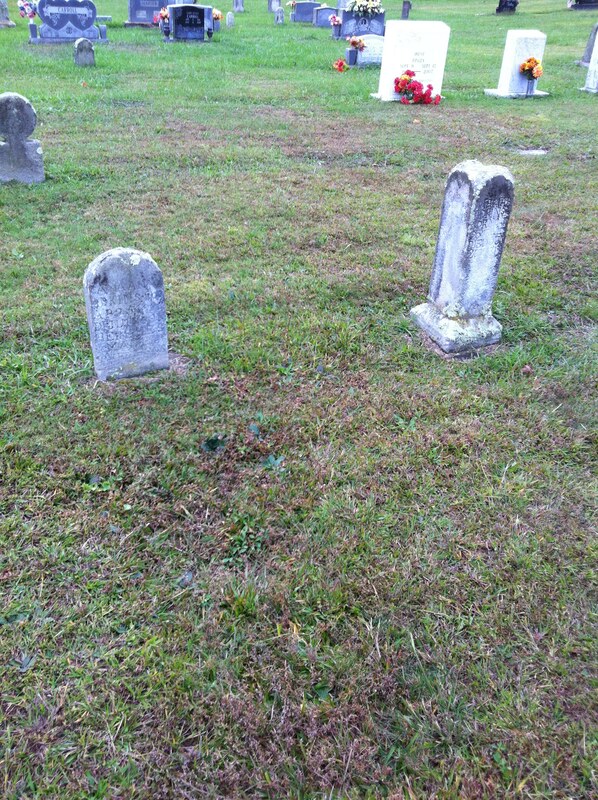 Patrick Napier was a preacher in Wayne County, WV. This description of Rev. Napier appeared in the Wayne County News on February 12, 1931. Rev. Patrick Napier was essentially a man of the hills who possessed a strong and striking personality. He was accounted one of the ablest preachers in his church as he was one of the most sincere and influential. In the associations, his opinions were given strong weight on all questions of church government and denominational doctrine. He was in all respects one of the strongest men in his community and he possessed many of the elements of leadership. Personally, he was of kindly nature, frank and openhearted and of most genial disposition. His uniformity affable manner taken in connection with his striking appearance and pleasing countenance made him a conspicuous figure in any assembly. His easy manner and gracious disposition attracted friend and stranger alike. For many years before his death he was the most potent force and influence in his association. He led his friends unconsciously and they followed his leadership because his was the stronger mind. Source: Wayne County News (Wayne, WV), 12 February 1931. Winchester Adkins and Cain Adkins, Jr.
Winchester Adkins (left) and Cain Adkins, Jr. (right), sons of Cain and Mariah (Vance) Adkins. 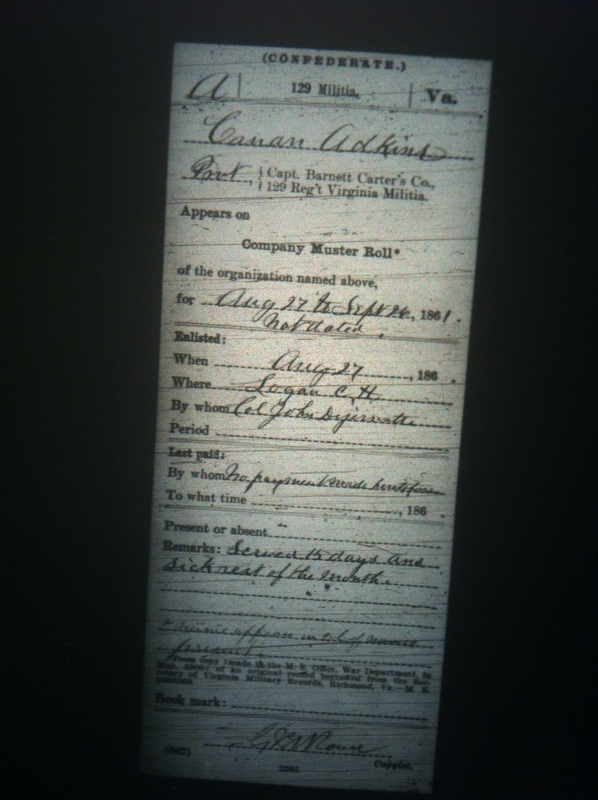 Winchester (1874-1938) lived in Williamson, WV, where he was employed by the Norfolk and Western Railroad (and used the surname of Atkins). He was a fiddler who played on the Grand Ole Opry with a band called the Mingo County Ramblers. 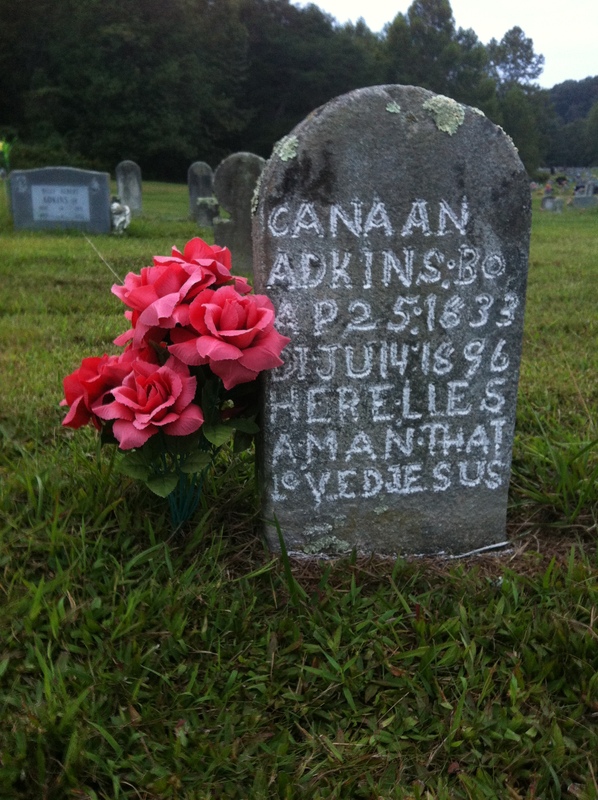 Cain Adkins, Jr. (1880-1943) lived in Matoaka, Mercer County, WV, and Raleigh County, WV. He was also a fiddler. Both men were children during their father’s involvement in the Lincoln County Feud. 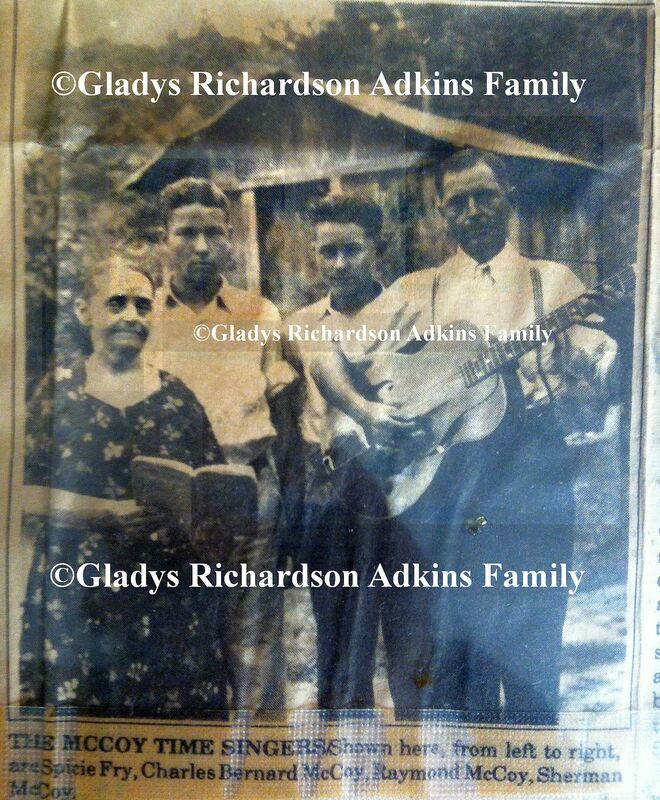 Photo courtesy of Adkins family descendants.